To look at it now, solidly in place, you would never know its disturbed history. The broken course of the Sutherland project is one of those fantastic things that could only happen here. –Shelley Higgins, former City Attorney, in This Fantastic City. 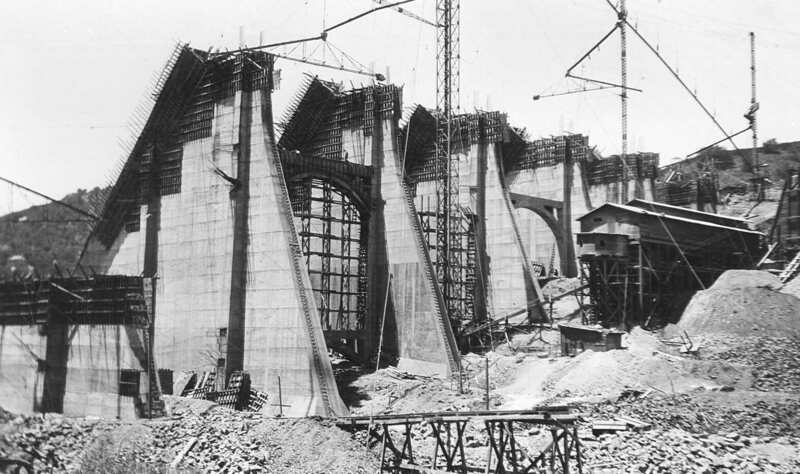 The story of the ill-starred Sutherland Dam, known in its day as A Dam Fiasco.